All the Goa ministers will retain portfolios hey held under Manohar Parrikar. 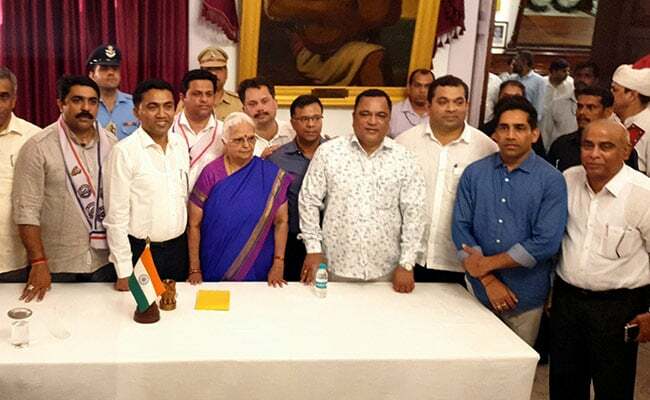 Goa Chief Minister Pramod Sawant retained home, finance and all other portfolios held by his predecessor Manohar Parrikar as he allotted departments to his Cabinet colleagues, three days after taking charge on Friday. Mr Sawant, who has two deputies, distributed portfolios to all the 11 ministers who were sworn-in along with him on Tuesday. All these ministers were members of the Cabinet led by Mr Parrikar, who died on Sunday. A notification issued on Friday stated all the ministers will retain portfolios which they held under Mr Parrikar’s chief ministership. This means Mr Sawant has also kept with himself all the portfolios which were earlier with Mr Parrikar. These included departments like home, finance, personnel, vigilance and general administration, among others. Mr Sardesai is president of the Goa Forward Party, another key ally of the BJP in the coastal state. Mr Sawant enjoys the support of 20 MLAs in the 40-member Goa assembly whose effective strength currently is 36.